Two superpowers, one female agent, zero second chances, and plenty of Dom Perignon. What can go wrong? 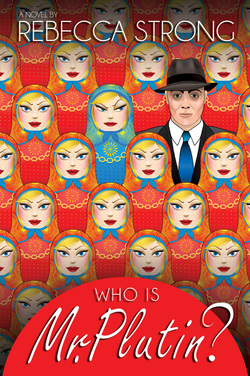 When Vika Serkova wakes up in a luxury apartment in St Petersburg, Russia—married to an oligarch and an elite undercover Russian spy—all she can remember is being an American and living in New York. Her new, Dom Perignon and caviar-infused life is delightful, but only until her husband drops an ultimate bomb about why she’s forgotten everything and about her current assignment for the Russian president. The assignment implicates her family members in a conspiracy big enough to cost them their lives and Vika must save them—but only if she can manage it with most of her memory still MIA and her opponents set on destroying each other even before Vika’s manicure dries.